Performance management is rightly experiencing a radical overhaul. The structured, one-size-fits- all process of twice-yearly reviews, often perceived by busy managers as a necessary evil, has been denounced as formulaic, backwards-focused and subjective. In its place, pioneering employers such as Deloitte* are now advocating a continuous, ‘one-size-fits-one’ approach. But there’s an opportunity to take this even further. In a landmark Gallup study**, 10,000 employees were asked what they want from their leaders. The answer was four things: compassion, trust, hope and stability. This begs the question: could organisations achieve more effective and more relevant performance management by finding a way to put compassion at the heart of the process? Compassion can be defined as a concern for the welfare of others and the basic human desire to help. 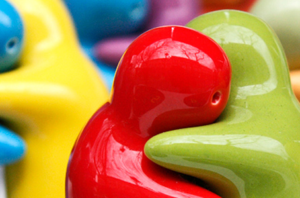 Managers can demonstrate compassion by building personal relationships with their teams. Gallup’s study shows that when employees feel that their line manager cares about them, they’re substantially more productive and significantly more likely to stay with the company. However, this opens up a debate about the boundaries of a line manager’s relationships. The role of a manager is to help and support employees, so they can be effective and productive. Part of this is about ensuring they have the right skills – and then managing the operational aspects of their performance. And yes there’s a benefit in having frequent and insightful ‘in the moment’ conversations about someone’s actual performance, not their past performance. But a whole raft of other issues in people’s wider lives will have a huge impact on whether or not they’ll be successful at work. Despite this, not all of these will be visible or discussed openly. So where should managers draw the line? Each of us has a life outside work. We’re all rounded human beings. If a manager knows enough about someone’s interests, goals, ambitions, dreams and fears in life in general, then it follows that they can respond more appropriately, and more compassionately, to help that person be the best that they can be. For example, if someone sings in a choir, plays in a band, is training for a marathon or looking after a friend or relative, the manager can create the flexible conditions that allow them to balance their work and broader lifestyle. A fuller appreciation of the pressures of life for each person means the manager can exercise discretion in a personalised way. This should not be underestimated – the trust and understanding required on both sides to make this work makes for a very different, more positive experience of work. And the business case for happier employees is already well made! In the performance management process, line managers need to find a way to tap into what people personally find motivating – inside and outside of work – and where they get their personal pride. They have to ‘get to know’ the people they’re managing and understand what makes them tick. This requires more than simply knowing that they’re married with two children. If an employee has a domestic or lifestyle problem outside of work that is impairing performance, you could argue that their line manager has a legitimate role in helping to try to resolve this. It’s about showing that person that their line manager is on their side and wants to help, by offering support and flexibility where possible. This increases commitment in the longer term, which is critical for business. So, instead of taking a narrow, retrospective view of performance management and what it means operationally, employers can benefit by taking a more holistic, future-focused, whole-person view of performance, engagement and productivity. Some managers may argue that this is not what they signed up for. When people are promoted to a management role, they sometimes assume they have to maintain a distance from their employees. They may be reluctant to become ‘emotionally involved’ with their staff, fearing that it might compromise their working relationship. They may feel that a compassionate approach is at odds with their role of achieving the organisation’s results and getting the best out of people. Of course, sometimes managers have to discipline staff, have tough conversations, provide difficult feedback or make unpopular decisions. They may also feel uncomfortable about ‘prying’ into people’s private lives. Yes, they’ll grant compassionate leave after a bereavement but many would instinctively shy away from showing a more ‘everyday’ brand of compassion, perhaps even seeing this as a sign of weakness. Also, while many employees may want a close relationship with their boss, others might prefer a more transactional relationship. Not everyone wants to be deeply connected to their organisation or their job. We all have different emotional boundaries. But the point here is that many employees do want this. They want a compassionate line manager who cares about them as an individual. Without this, there’s little chance of that person feeling genuinely engaged at work. So if a line manager is avoiding building close relationships with their team members because they’re concerned about the downside, they may be missing a trick! Organisations can’t simply introduce a blanket HR policy to force line managers to act with compassion. Individual managers have to have a genuine interest in their people and they have to make their own positive and conscious choice to be compassionate. There has to be a level of trust and authenticity. If a manager is insincere, untrustworthy or if they clearly have their own agenda in trying to appear compassionate, people will see through this. Employees have to be sure that any personal information they might disclose – especially around issues of depression, anxiety or illness – will be treated sensitively and confidentially. But, ultimately, every manager could benefit from knowing more about the holistic aspects of each individual in their teams, in terms of their career aims, their lifestyle opportunities and restraints and their interests or commitments outside of work. By showing they care about these aspects, in frequent ‘in the moment’ conversations, compassionate managers will get back a level of trust, goodwill, discretionary effort, commitment and engagement. HR teams should be looking at ways to help line managers to exercise compassion and bring it into their working relationships. Line managers may need support to define their own boundaries; to understand their own level of compassion – and how they can exercise this; to ‘contract’ a new compassionate relationship with their direct reports; to understand how, when and how often to bring compassion into performance management conversations; how to balance the needs of individuals with those of the organisation and what practical steps they can take to handle any difficult situations or circumstances that may arise. It’s certainly true that the best organisations want to create closer and more intimate relationships with their customers. Perhaps the place to start is to create more compassionate relationships with employees. By conducting individualised performance conversations with compassion, integrity and respect, line managers can create a more engaging, supportive and inspiring environment in which people are more likely to thrive. ** Outlined in the best-selling book Strengths Based Leadership, by Barry Conchie and Tom Rath. Gallup Press, 2009. Murray Furlong is ‎Head of UK Solutions Design at leadership development specialist Hemsley Fraser. As a qualified OD and leadership development practitioner, he helps his clients to find new ways of being and operating that make their working lives better. Murray has more than 17 years' experience across the learning and development, OD and consulting spectrum.